30 x 30 Inch Lowboy Cocktail Round Stretch Spandex Table Cover Black - Your Chair Covers Inc.
30 x 30 inch Spandex Lowboy Cocktail Table Covers in Black. Stretch Tablecloths for 30" x 30" Round Top Cocktail Tables. 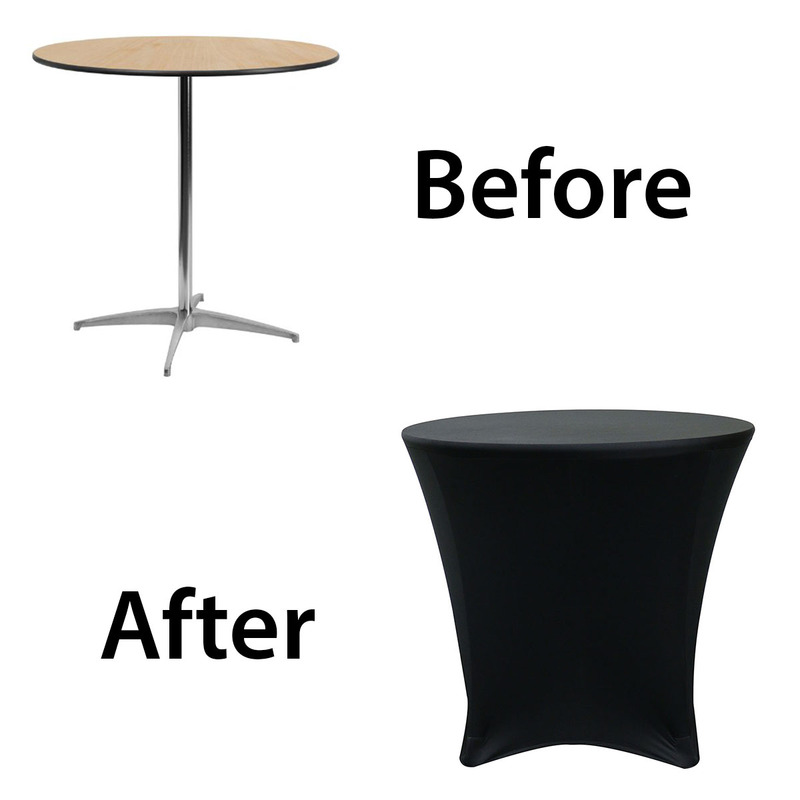 Made from high quality four-way stretch spandex material, our black stretch spandex 30 inch round lowboy cocktail table covers exemplify modern sophistication and luxurious elegance. They are designed to fit 30" round lowboy tables with 30" height at weddings, casinos, hotels, restaurants and other special events. 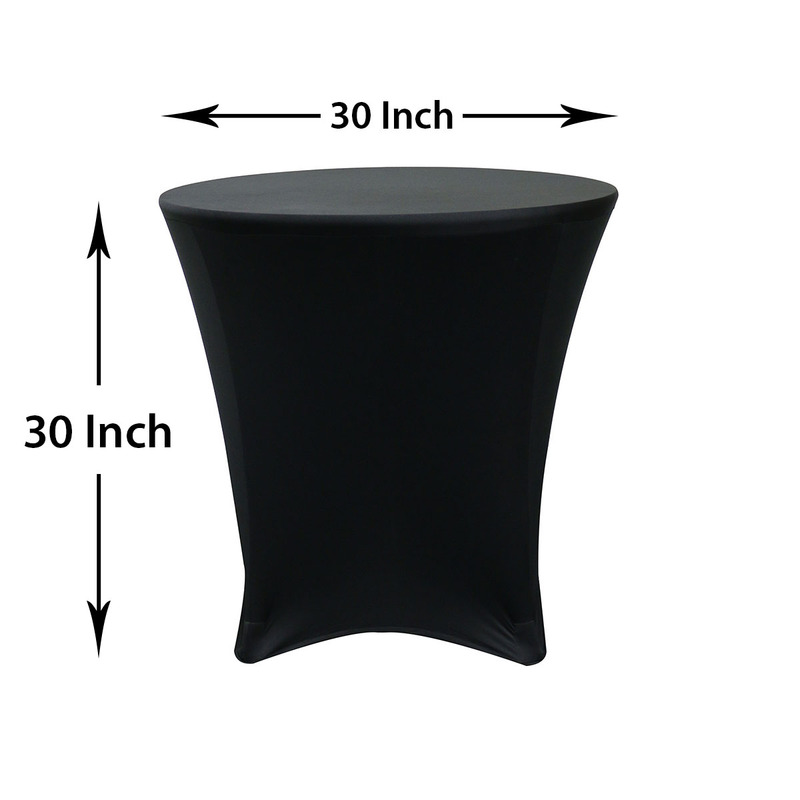 Black spandex lowboy tablecloths from Your Chair Covers feature deep canvas foot pockets, are durable, do not require ironing and can be laundered countless times. This cover fit my low table perfectly and went on easily plus stays in place. The black color cover over an old beige table now allows my old table to be used with new color outside furniture for a reasonable price. Good quality in seams, nice heavy material and arrived quickly. I'm so glad I found this website on a google search. I'm planning to order in more colors! Good Quality! Great Customer Service! On time shipping!! I am a business owner and found this company on line and VERY pleased with the quality of products and customer service - both are very important for my business. I will continue to order products and the shipping was always on time!! Thanks so much!